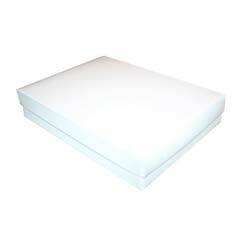 Simplex boxes are the perfect combination of luxury, efficiency and affordability. They ship and store flat, but when constructed they have sturdy "turn-over" sides that look just like a rigid box. 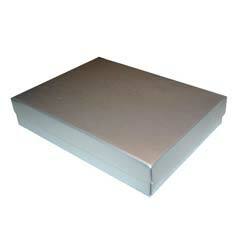 Simplex set up boxes can be custom manufactured in assorted sizes and materials. Stock styles and sizes are also available. 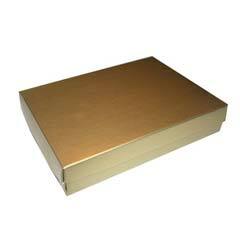 Simplex boxes can be printed 1-4 colors offset, hot stamped or embossed. Modern Arts offers stock inventory of ready to ship simplex folding apparel boxes - available for immediate purchase online. NEED PLAIN BOXES OR IN A RUSH?